A complete clinical test of the A.G.E. Interrupter showed that 90% of women had a significant improvement in fine lines, deep wrinkles, firmness of elasticity, textile roughness, and hyper pigmentation. In addition, 94% of women showed an improvement in overall appearance. The SkinCeuticals A.G.E. Interrupter is specifically formulated to improve the creeping, thinning appearance of mature skin caused by intrinsic or internal aging processes such as glycation. Blueberry extract slows down the process of advanced glycation end-product (A.G.E.) formation, preventing the rigidification of collagen and elastin fibers. Proxylane stimulates GAG synthesis, restoring water and nutrients to the dermal epidermal junction. Phytosphingosine helps protect the skin's barrier to alleviate discomfort associated with dry, aging skin. Directions: Apply one or twice a day on face,neck and chest. The best product I have found for my skin. I am in my 60s and I try all sorts of expensive, heavily touted products to help me retain a youthful glow and texture. 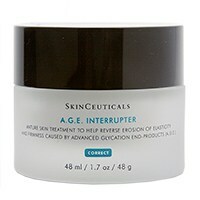 I am elated at how my skin feels with A.G.E Interrupter. It is the most effective product I have found for the health of my skin. I love the way my skin feels after applying this product. I use it morning and evening and have seen a dramatic improvement in the texture and suppleness of my skin. The other day, an acquaintance suggested we were about the same age and I told her I thought I was older. She said, " Well,I am 47. I doubt you are older than me." I had to reply that I was 55. She was shocked and told me I looked really great for 55. A little pricey but worth it! 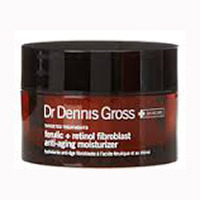 Dr Dennis Gross Ferulic + Retinol Anti-Aging Moisturizer (1.7 oz) provides a triple correction anti-aging moisturizer that contains the breakthrough combination of Ferulic Acid + Retinol and a trademark-pending ECG Cellular Complex. 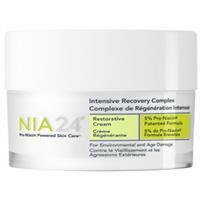 NIA24 Intensive Recovery Complex (1.7 oz) is a rich cream that delivers intensive moisturize and helps to activate skin’s own regenerative powers. Skin looks fuller and firmer by locking in multi-level moisture, while minimizing transepidermal water loss. 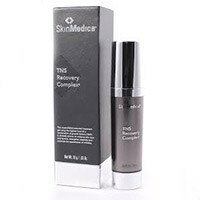 SkinMedica TNS Essential Serum was developed to be an all in one rejuvenating skin treatment serum. One chamber contains the TNS Recovery Serum and the other chamber contains peptides and antioxidant power. 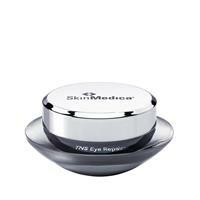 SkinMedica TNS Eye Repair harnesses the power of growth factors designed to increase collagen. TNS Eye Repair also has Hyaluronic Acid, antioxidants, and protein production which promotes the skin's firmness and elasticity.